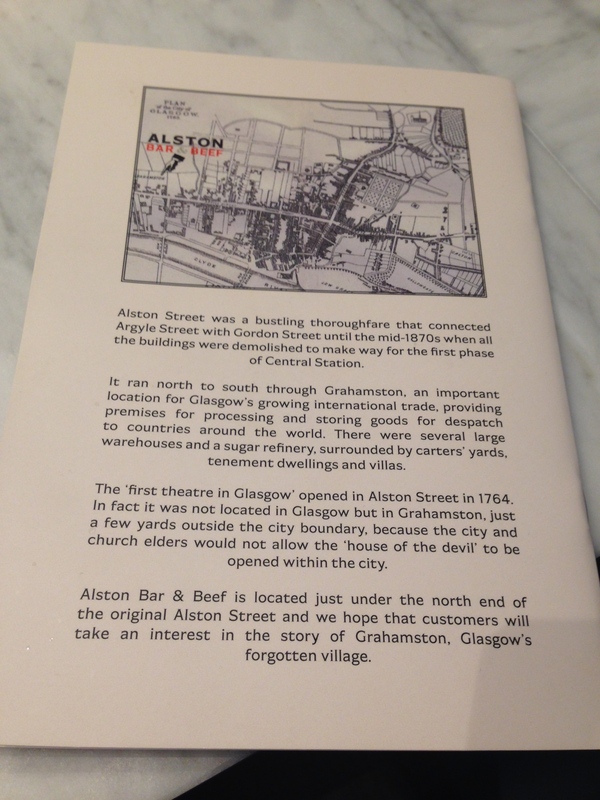 Alston Bar & Beef recently opened its doors in Glasgow to much hype and a lot of mystery. It joins the likes of Gordon Street Coffee, the Beer House and the upcoming Taco Mazama as part of the ongoing pre-Commonwealth Glasgow Central rejuvenation works that are currently taking place in the station. Located underground, down in the catacombs of Central Station, Alston is fairly easy to miss if you’re not paying attention. 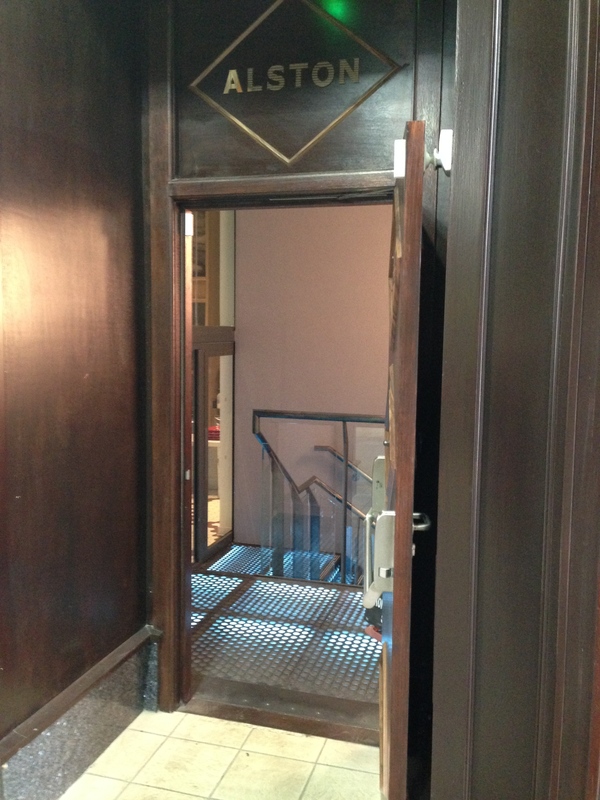 As you enter the station via the Gordon street entrance, you’ll find a wee cracked doorway sitting just beyond Gordon Street Coffee. If the giant ‘Alston’ sign doesn’t give it away, that’s where you need to go. As you head through the door, you’ll notice a sign proclaiming that the ‘best’ steak can be found here. In Glasgow, that’s a pretty big claim to make. Unfortunately, we weren’t here for steak on this particular visit, but we’ll most definitely be back to sample it soon! The BEST steak? Bold claims! 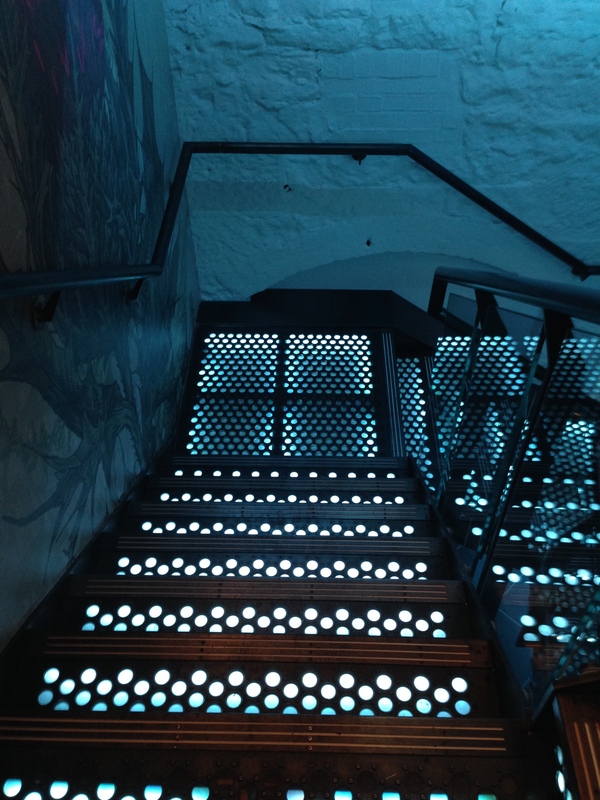 As you head down the dark blue staircase, the atmosphere will already be starting to wash over you. 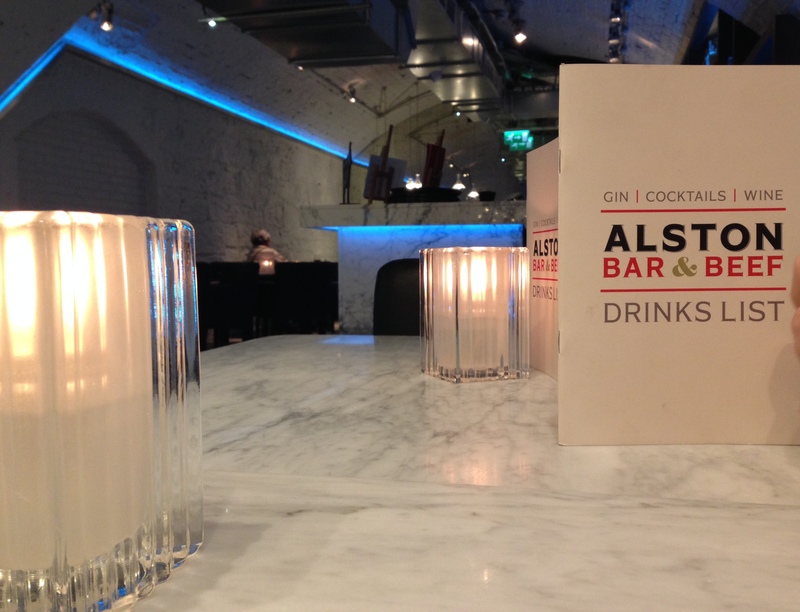 Alston Bar & Beef is simply one of the coolest locations in Glasgow and feels a world-away from the train announcement boards, coffee shops and rush hour madness that lies above it. 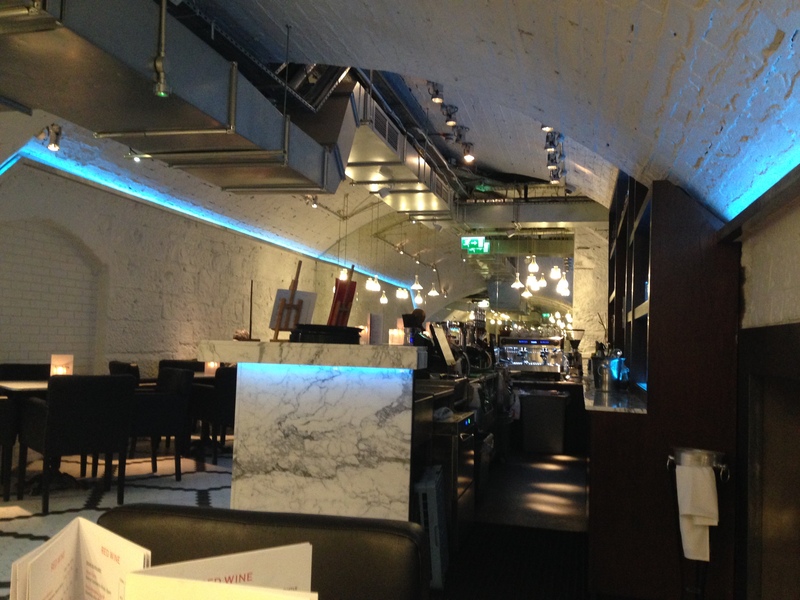 Once inside the restaurant, Alston is actually fairly bright and welcoming. 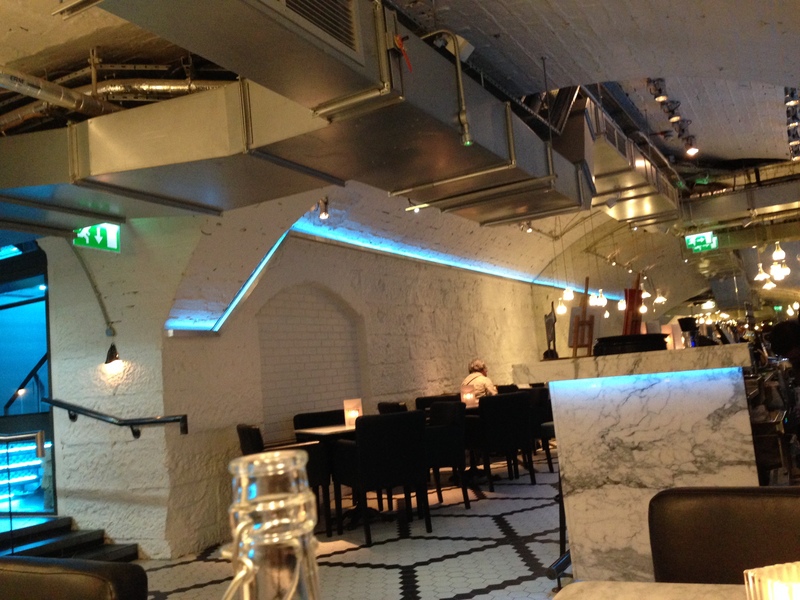 There are plenty of original elements of the station that have been left intact and they are combined with loads of modern furnishings, creating a very cool stripped-back, speakeasy vibe. The restaurant itself isn’t actually that big, but the clever use of mirrors and lighting makes it look absolutely massive. This place will definitely get crowded quickly, though! Top marks for the setting. It is SERIOUSLY cool! We had a quick browse through the drinks list and there’s a lot on offer – particularly for gin lovers. 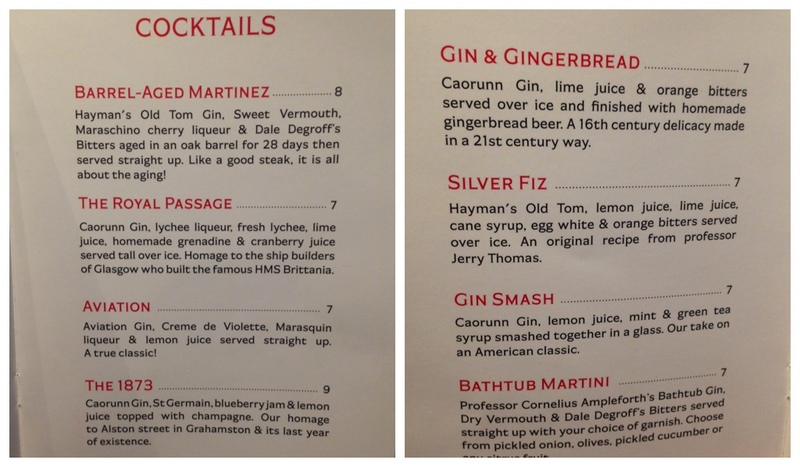 As you can see below, the Alston features a pretty great gin selection and gin-based drinks menu. We visited pretty early on in the day and had a lot of driving ahead of us, so booze was off the cards. The menu is a good size and consists of various cuts of steak and several other main course options. As mentioned, we didn’t try the steak on this occasion but certainly will next time. 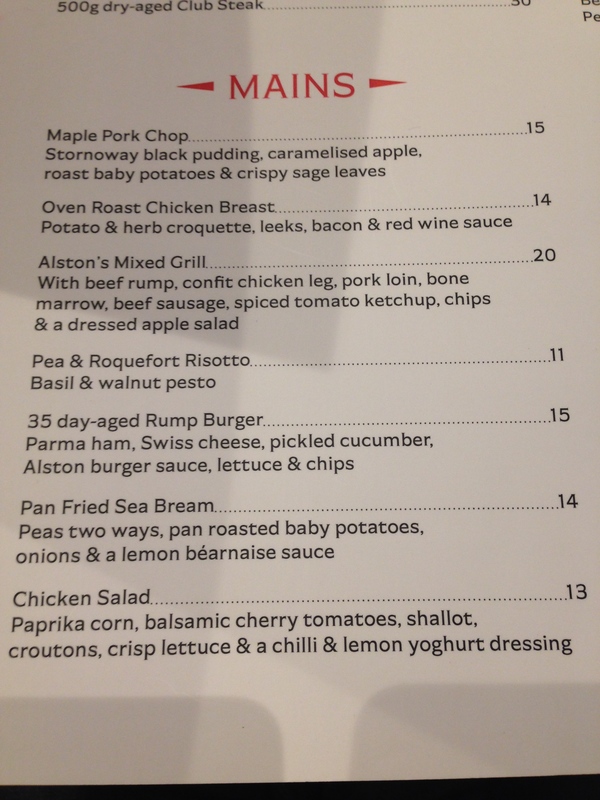 There’s a good selection of steak-alternatives available (see below) but we; of course, opted for the burger. 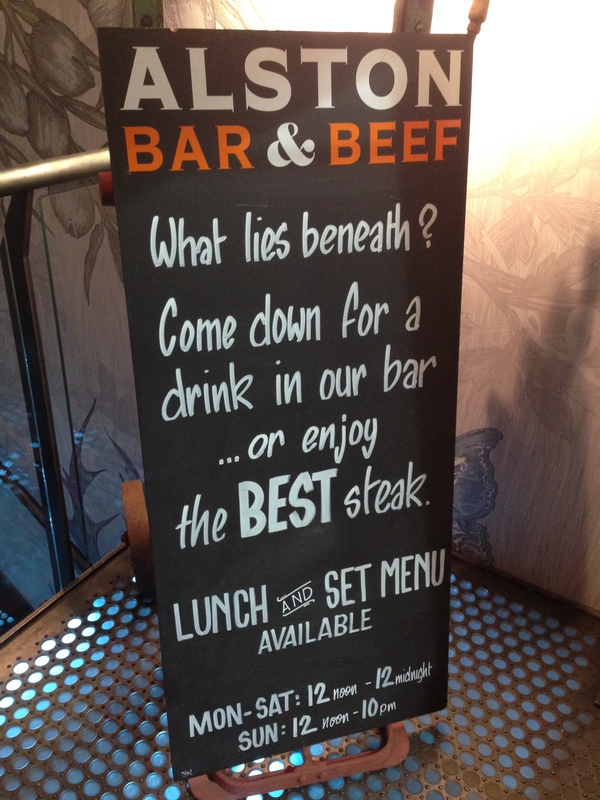 Simply from reading their website, you can tell that the Alston takes the quality of it’s beef seriously. 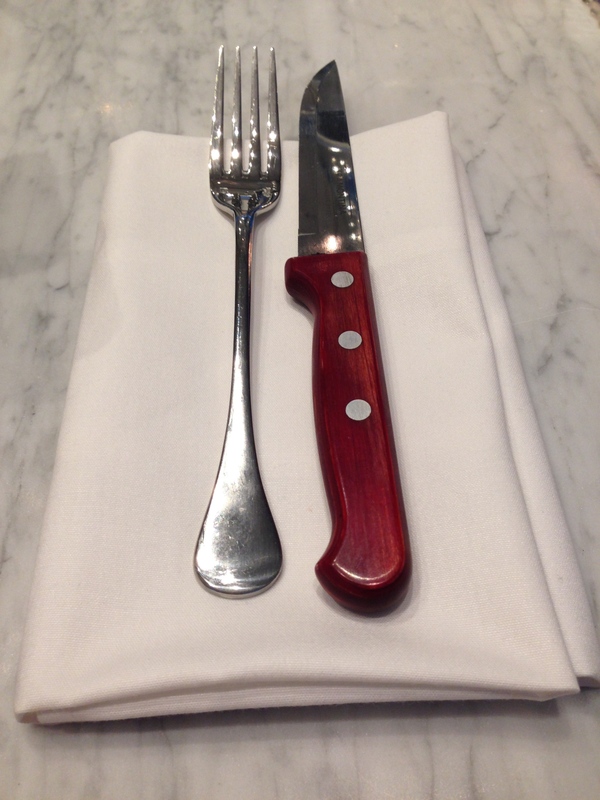 According to the menu, the beef is from grass-fed cattle that are hand-selected by their supplier. 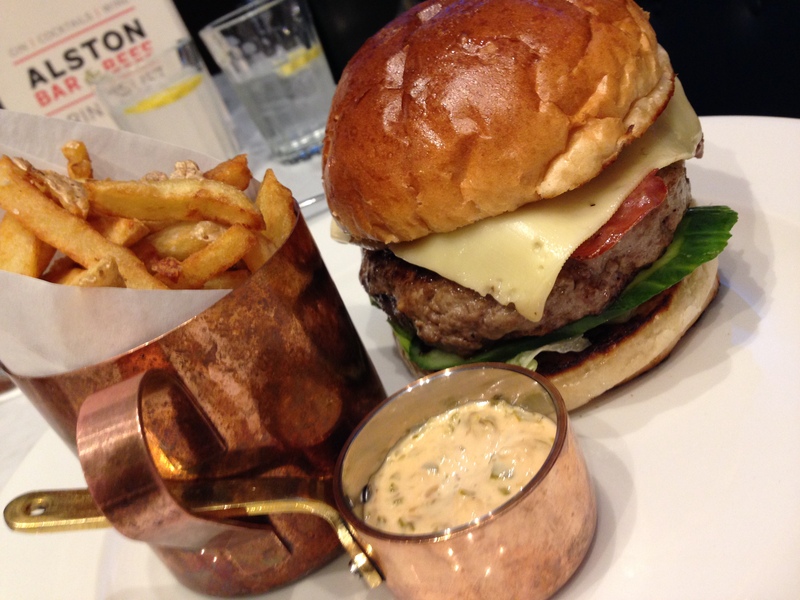 The burger consisted of a 35-day aged rump patty topped with parma ham, pickled cucumber, burger sauce and lettuce. It comes served on a toasted bun and includes fries too. As you may know from reading the site, I don’t think that cucumber should be anywhere near a burger and I’m not sure why anyone would decide to put it there, but since this was ‘pickled’, I thought I’d give it a shot. Presentation-wise, everything looked good. The burger is fairly big, but not to the point where it’s difficult to pick up and eat. 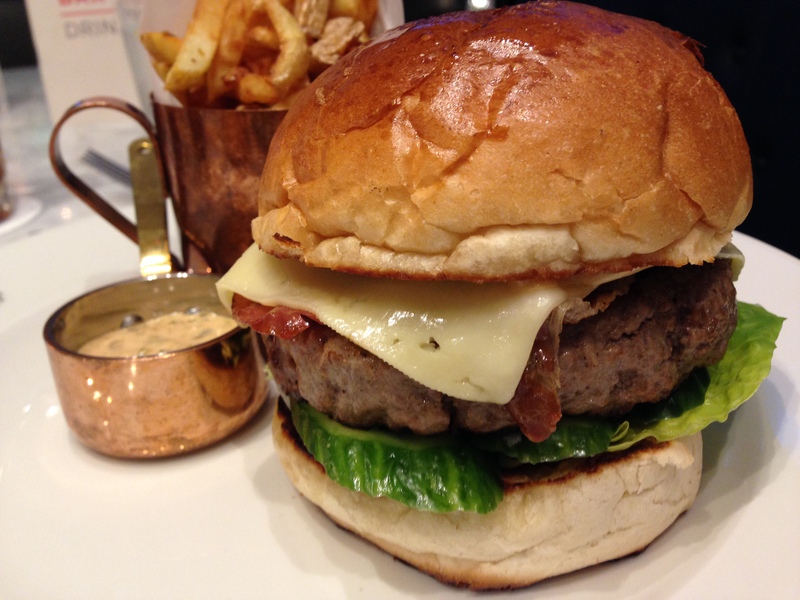 In terms of taste, it was hard to fault the burger – for the most part. The patty was very well-cooked, perfectly medium, well seasoned and extremely juicy. It had a good, deep flavour and was clearly of a very high quality. It was juicy, without being overly messy and the burger sauce was excellent. In fact, it’s spread on the burger but also served on the side too, if you happen to want extra. I ended up using most of it. The cheese, while good, could have perhaps been melted a bit more and the parma ham was super-crispy and perfectly cooked. It added a nice crunch to finish off the burger. Our only complaint was – you guessed it – the cucumber. It didn’t really taste ‘pickled’, but like regular old cucumber and did detract from the overall flavour of the burger. I took it off and sat it aside, but the taste still remained ever so slightly. 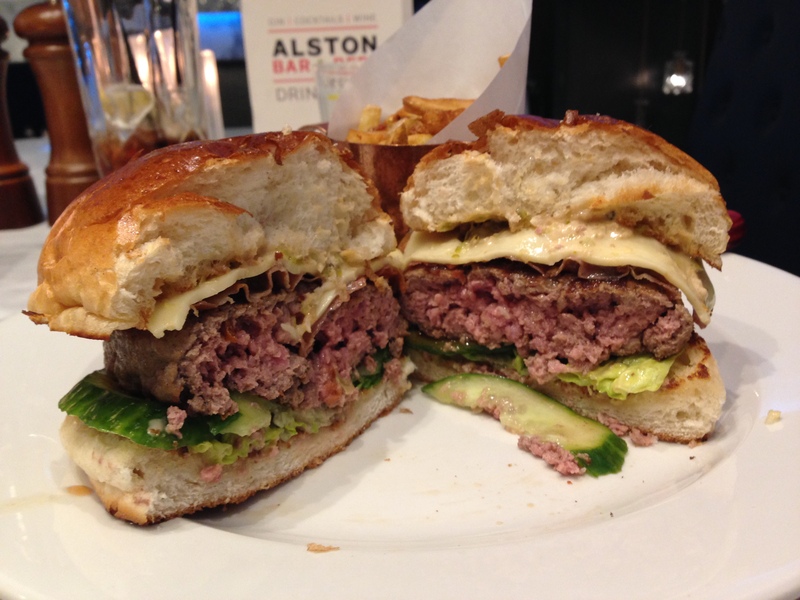 Our opinion remained unchanged following the visit – cucumber kills burgers. Inside the burger. Very well-cooked! 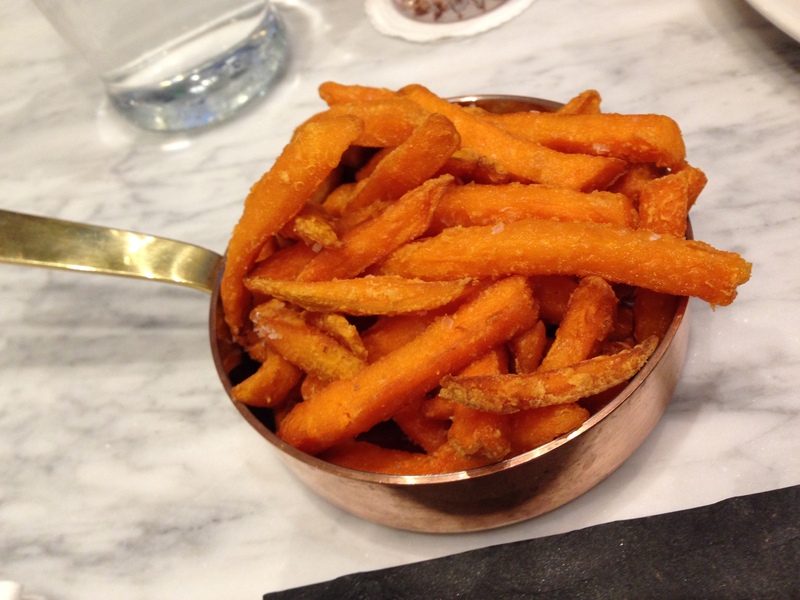 Unsurprisingly, we also sampled the sweet potato fries. These were light and crispy for the most part, although there were a few throughout that were either soggy or tasted slightly undercooked. They were good, but not Glasgow’s best. 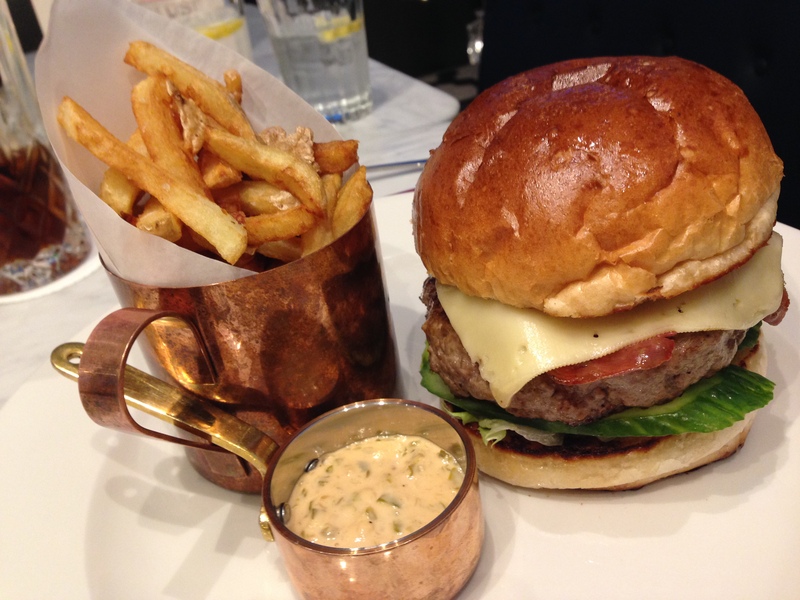 I actually preferred the regular fries which came with the burger, which were well-seasoned, earthy and full of flavour. The sweet potato fries were pretty good, although definitely not Glasgow’s best. We were feeling pretty good about our first visit to Alston, despite not getting to sample the steak. Then; however, came the chicken salad, which we had ordered as a second dish. While we usually don’t comment on anything that isn’t burger-related on the site, we felt that this was worth a mention, as it definitely detracted from our overall experience. Simply put, the chicken salad wasn’t good at all. 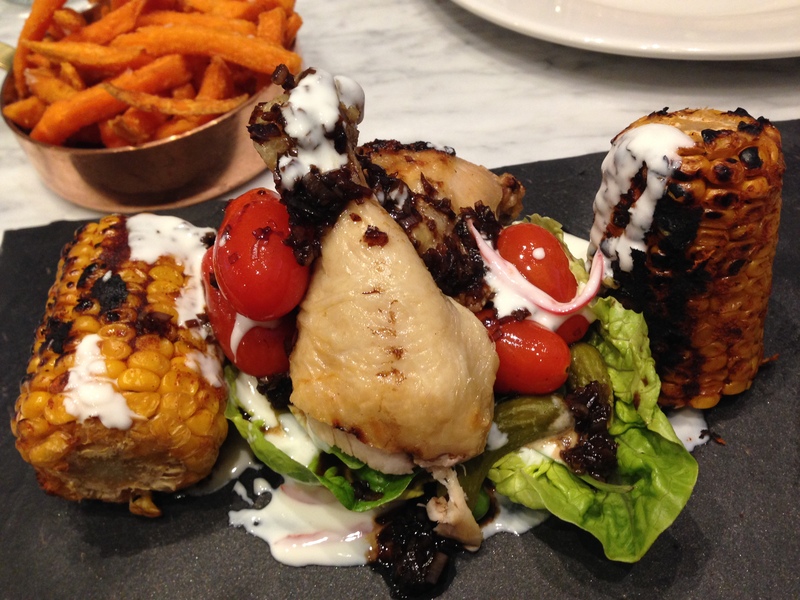 It consisted of two chicken drumsticks, some soggy tomatoes and a couple of bits of paprika-dusted corn all covered in a yoghurt dressing on a bed of lettuce that wasn’t at all crisp, as described on the menu. The chicken was gristly, quite greasy and the whole dish simply fell flat. It wasn’t at all what I’d imagine that a £13 chicken salad would look or taste like. Next to, what was, such a great burger, it was particularly disappointing. Chicken salad. The only real low-point of the visit. Our total bill came to £35, which included the burger, chicken salad, sweet potato fries and two soft drinks. The burger was excellent and of an extremely high quality, but when there are so many burger options throughout Glasgow, a £15 offering may be a tough sell. At only £2 more than the chicken salad, the two dishes were worlds apart in terms of quality, with the salad being a big ugly black mark on an otherwise enjoyable dining experience. We’re looking forward to going back and sampling the steak and probably a cocktail or three too! + Fantastic setting, great atmosphere. – Cucumber on a burger. – Expensive. 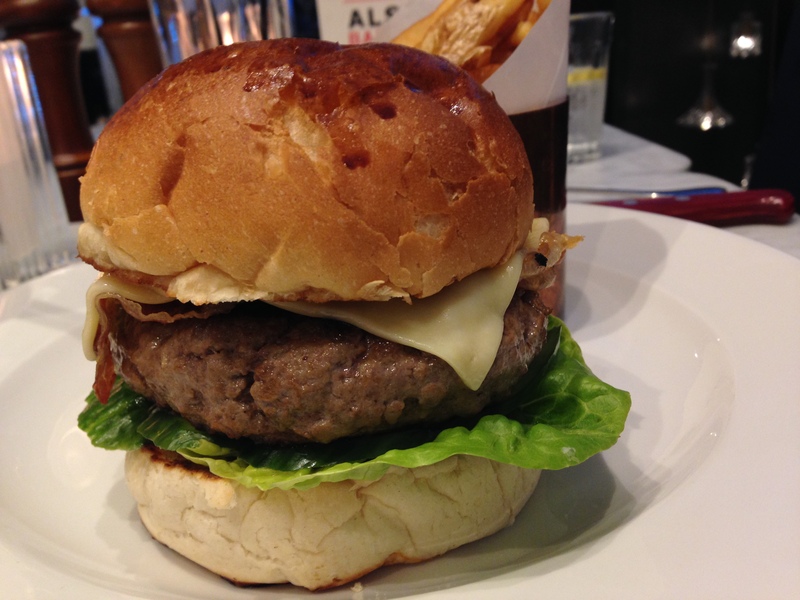 To be clear, this is due to the fact that the burger is dry-aged rump and it certainly tasted absolutely great. As noted in the review, we just wonder if it’ll be a tough sell in a crowded Glasgow burger scene. – Not burger-related, but chicken salad was extremely disappointing and not worth the money. Construction lending is often considered to be a more risky type of lending that others. and accurate documentation for this purpose. As the property bubble got bigger, lenders were willing to offer ever more risky deals to customers, such as 100% mortgages. rate and change the current borrowers. Based on the indictment, the lenders were induced to advance approximately $49. in the sphere of these countries. when you are able to produce tax returns. This weighs closely when you’re just establishing your credit score history.